Gale has been around the aviation world most of her life. Her father and her step-father were both private pilots and her entire family are aviation enthusiasts. She has recently served as Vice President, Human Resources at the Wayne County Airport Authority (Detroit) and has extensive experience in HR management for both the public and private sector. Her specialty is bringing in strategic HR best-practices and technology to help organizations operate in a more effective and efficient manner. Gale has a wealth of experience in starting up and turning around inefficient HR departments to be effective and strategic partners to the business. 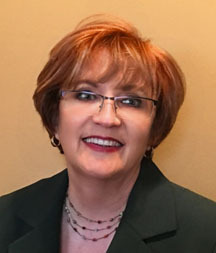 Gale has developed and conducted presentations for various airport, healthcare, and public sector forums around the world and has served as the ACI-NA HR Steering Committee Chairperson. Her passion is in education and talent development - helping others develop their careers. She is a life-long learner. Prior to joining ADK Executive Search and the Wayne County Airport Authority, she led the human resources function for many automotive suppliers, including The Crown Group, Android Industries, MSX International, and MascoTech. Gale has more than 25 years of experience in the employment and human resources field. Gale is a licensed attorney in the state of Michigan specializing in labor and employment law, and holds the following degrees: Ph.D. in Organizational Behavior Psychology, Juris Doctorate; Masters of Science with a concentration in Human Resources; Bachelor of Arts in Human Resources; and an Associate of Applied Science in Business Management. She holds a SHRM-SCP designation and is certified to deliver DDI and AchieveGlobal training, and is working on her certification for StrengthsFinder coaching. Her dissertation is on the topic of the dynamics involved when there is a change in the top leadership role in United States airports and how it affects senior managers. Gale lives in southeast Michigan with her husband Ron and enjoys traveling, spending time with her family and driving her Camaro. She serves as President of the Clara B. Ford Academy charter school created for the at-risk adolescent female residents of the Vista Maria agency.